Wearing a holstered pistol is sometimes not an option. 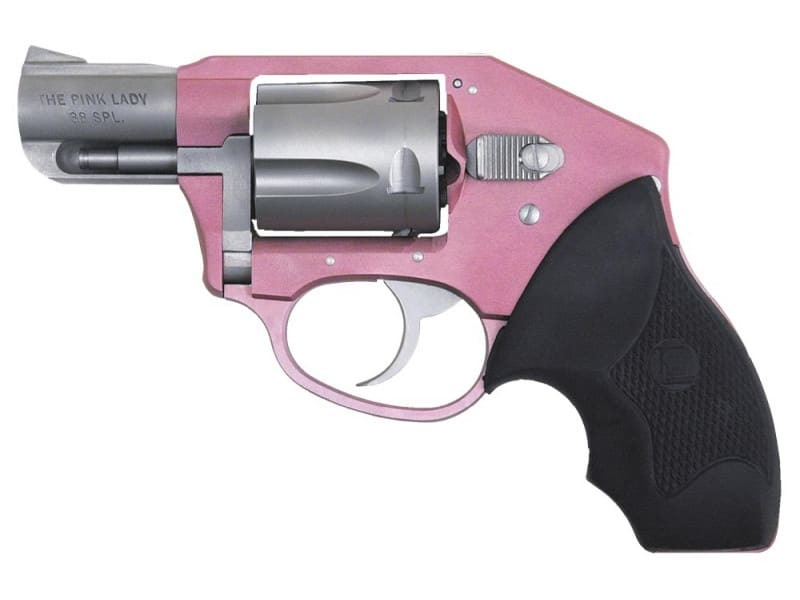 Concealment can be a challenge with some revolvers, but not the Pink Lady Off Duty. 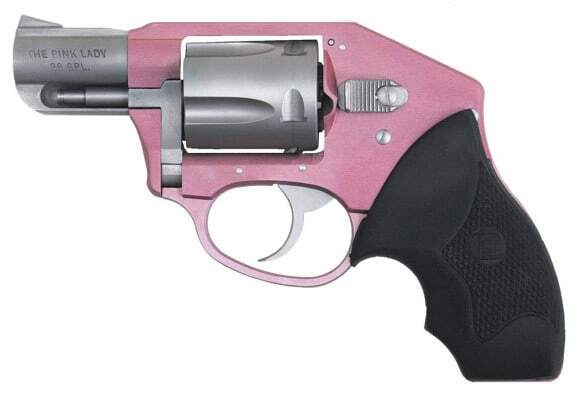 This double action only revolver is ideal for tucking in a waistband, under a shirt or in a pocket because the enclosed hammer will never snag on clothing at the wrong time. 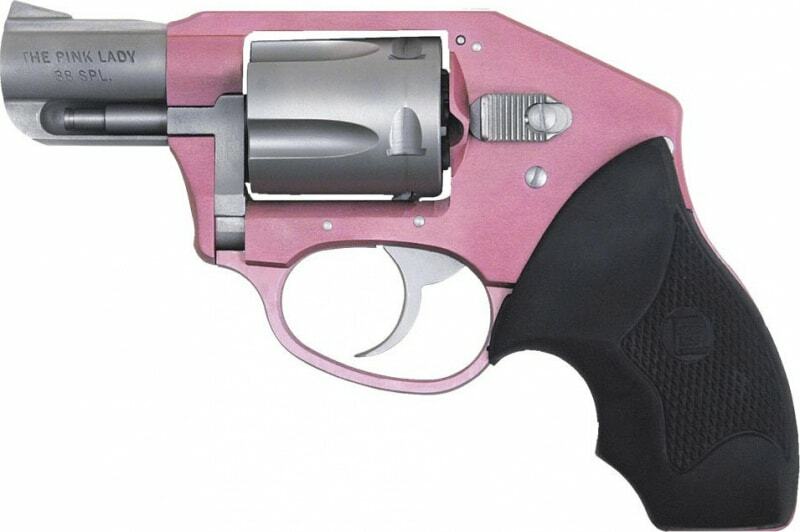 This high-grade cast 7075 aluminum revolver features a two-tone finish in pink on the frame and trigger guard with a stainless cylinder, trigger, ejection rod and barrel - with "THE PINK LADY" inscribed on it.